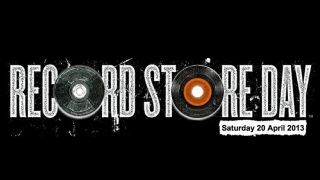 Sheffield based vinyl specialist Itchy Pig Records is giving you a chance to have your remix of an upcoming release included on a 12" with a country-wide Record Store Day promotion. Throughout this week, the folks from Itchy Pig have been visiting cities across the north of the UK - including Liverpool, Manchester, Nottingham, Leeds and Sheffield - and placing 20 USB sticks loaded with stems of upcoming release Fruit Fly by Sir Vinyl Instinct in key locations. All you need to do is check the clues on Itchy Pig's Facebook page, track down one of the USB sticks (don't worry, they're not impossibly hidden and are attached to Itchy Pig balloons in case you're struggling), take it home and remix to your heart's content. You've then got until 31 May to submit your remix, the best of which will be released on 12" in July. Got all that? Good! For more information, visit the Itchy Pig facebook page or the official Itchy Pig website. Good luck!